In most cities across the globe, spring is the time of year when the highest volume of properties hit the market. Steamboat is no exception and local buyers are hopeful to see significant supply added to help balance the high demand. While the 112 new listings that came on the market this March didn’t measure up to previous years, it was the highest number of new properties added in the last seven months. Year to date, 264 new properties have gone on the market, down 22% from 2017. Based on this activity, we expect that the same trend will continue in April and May: healthy but not the volume of past years. 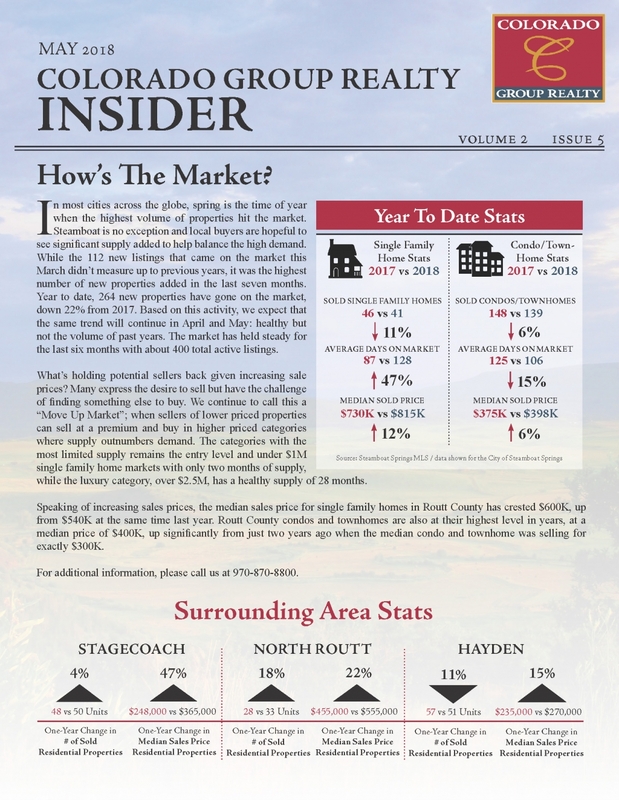 The market has held steady for the last six months with about 400 total active listings.